Auto Expo 2012 is on the peak with the launching of various luxury brand cars. Among the hot favourite the Peugeot car company has bring out the smile on the faces of the consumers in the auto expo 2012, which is going on in Delhi. This time Peugeot comes with the pretty good manner of dashing style that will suite the consumer, the car will be the Peugeot RCZ Coupe and a hybrid car, which is bring out in the expo. The French car maker has surprise everyone in the auto expo 2012 by the unveiled of RCZ Coupe would be the first amongst special luxury cars. The innovative design and the high technology of advance feature of engineering change this luxury two doors of car really unique and exceptional. For the past few years the Peugeot has been doing great business in the automotive industry and expanding the growth in their business since its introductions. The another luxurious coupe Peugeot Hybrid 3008 car is also display at the Peugeot end at 2012 Auto Expo. This hybrid car is a perfect combination of diesel and electric power plants. This hybrid car is powered by a huge 2.0 liter Hdi diesel engine which delivers 163 Bhp of maximum power . The company has given their best in this luxury car and put out the best integration of designing. This ultimate car is been the dream comes to buyers who are looking for an outstanding vehicle.Peugeot India has also unveiled its all new luxurious, Peugeot 508 at 2012 Auto Expo. 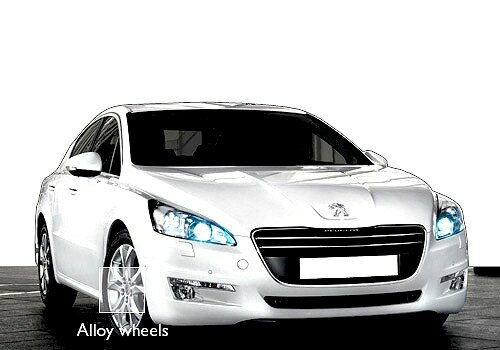 The Peugeot 508 sedan will be the first car, which will be arrived first by the company in Indian automotive industry. Overall the car has been the best outlook and superb in the quality.